From a vantage point at MacDill AFB Base in Tampa, Florida, my spouse and I gazed upon the murmuring water of the Hillsborough Bay. Included in the serene horizon view were roads towards the Southeastern suburbs of Tampa: Gibsonton, Riverview, and Lithia. Departing MacDill, we curved along the Selmon Expressway and landed 30 miles over in the Fish Hawk neighborhood of Lithia. While cruising around the neighborhood, we found a little slice of tropical paradise with this MilitaryByOwner property listed for sale by owner. Perhaps due to “family bonding” time in the cramped quarters of the temporary lodging facility, the discovery of this home seems as if we’ve arrived at the Taj Mahal! Cheerful sunlight streams through this 4,180 square-foot manor. 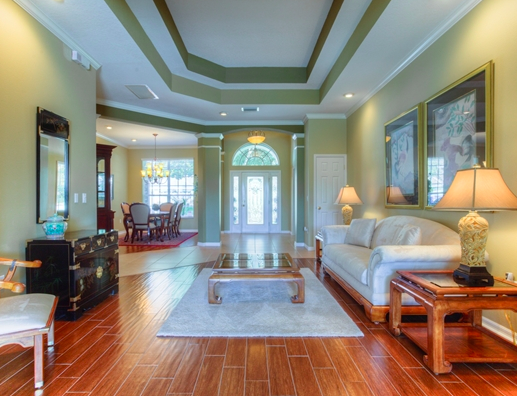 The smooth flow of the generous floor plan invites an imagination to run wild. My social butterfly has visions of hosting elegant dinner parties or planning festive family gatherings. Stunning designer touches, such as pristine crown moldings and dramatic tray ceilings, accent this 5-bedroom, 4-bathroom estate. Subtle tones of tropical Floridian color mix with artisan ceramic tile to further emphasize the spacious atmosphere. What do most military families crave? Room to spread out! This sun-filled sprawling home may be the perfect fit. Noted in our post, “Why I Love Living Near MacDill Air Force Base,” no matter where around Tampa a person may wander there seems to be a water view. Perfect for bird watching or finding our zen, this Kestrel Ridge gated community includes impeccably maintained green space with ponds. When the conversations of bullfrogs beckon a bit too loudly, retreat from the pond to the sumptuous indoor lanai, complete with sparkling pool. Lounging in the nearly picture-perfect weather, you'll feel like royalty! 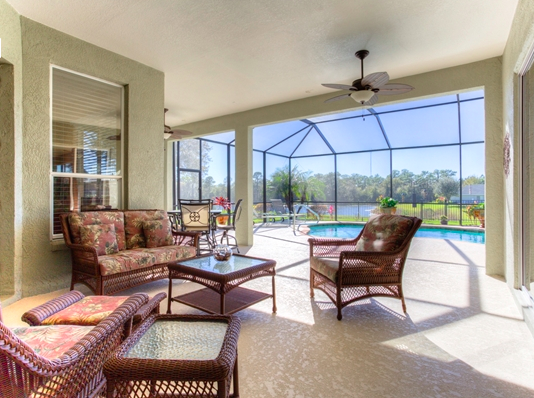 With the easy-going Floridian lifestyle, this gem of a house inspires dreams of luxury living. With Orlando nearby, Jacksonville to the North, and Miami to the South, having a home base in Tampa allows convenient access to cities all around the Sunshine State. 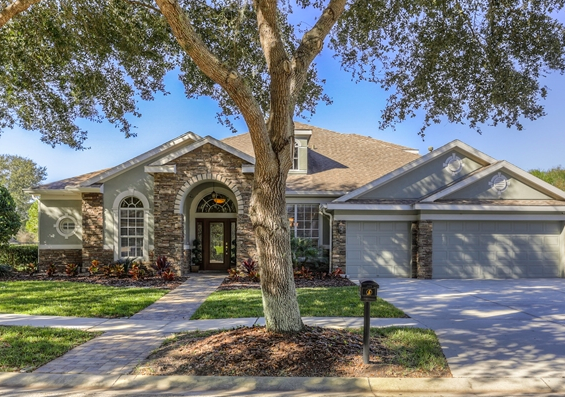 If you've received orders to MacDill AFB, the easy-to-use search feature on MilitaryByOwner showcases a variety of spacious one-story and roomy two-story properties amidst the widespread residential area of Tampa. With a military move and PCS season ahead, here’s hoping you’ll soon be savoring a beachy Florida sunset!